Jill Carey, former Director of St. Mark Preschool was recognized recently on the CBS 19 news for her years of dedicated service. 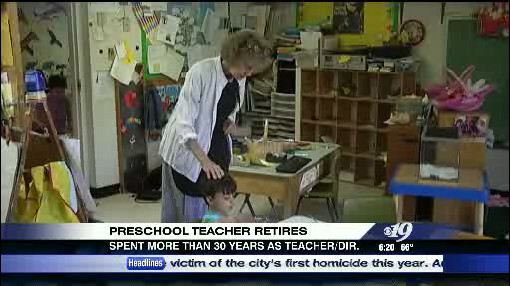 Jill began as a teacher at St. Mark Preschool in 1980 and became the director in 1992. Jill’s hard work, and passion for working with, and teaching children exemplified the traditions of St. Mark Lutheran Preschool.